I love a wrap dress. It's easy, form-flattering and classic. I also love that the wrap style is making its way into tops. A faux wrap top is an effortless way to create a shape. Solid, patterned, cotton, or silk these picks are perfect for fall. 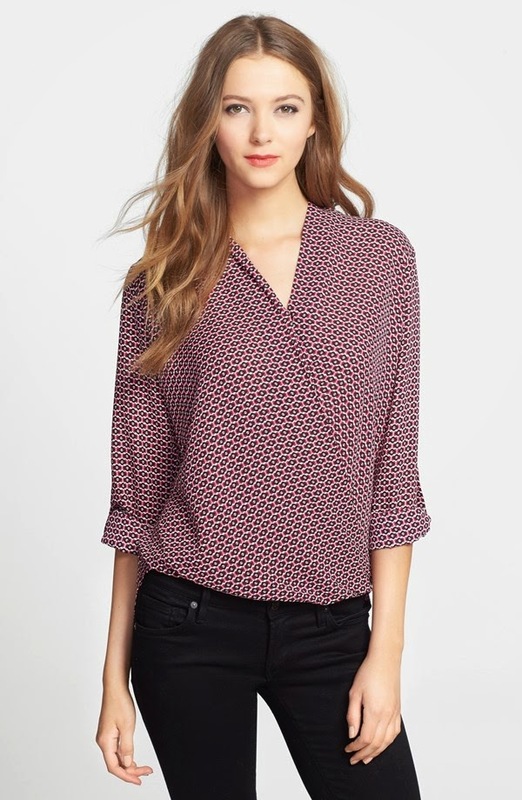 This blouse comes in almost a dozen pattern options. I like the draped collar and high wrap neckline. No need for a cami underneath. This jade is a stunner. 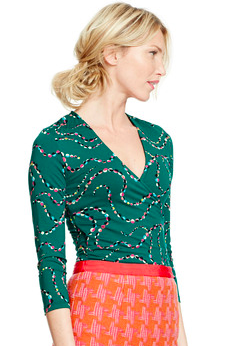 This rich jewel tone is going to match with your black jeans or navy pencil skirt. Even VS is getting in on the wrap game. And with this price point, you can't go wrong. Do you know what I love more than machine washable things? Color. And this top has both. The wrap top is also great to layer. Throw on a blazer for work or add a denim jacket on the weekend. This style does it all.